Overview of the club and what we do. The Rotary Club of Teddington & the Hamptons was founded in 1924, and covers an area that includes Teddington, Hampton, Hampton Court, Hampton Hill and Hampton Wick. Our club has had a long and proud involvement with the Rotary movement and it has a tradition of uniting local people for the common good of businesses as well as national and international communities. We have taken part in many hundreds of local fairs and activities, raising money for local charities. 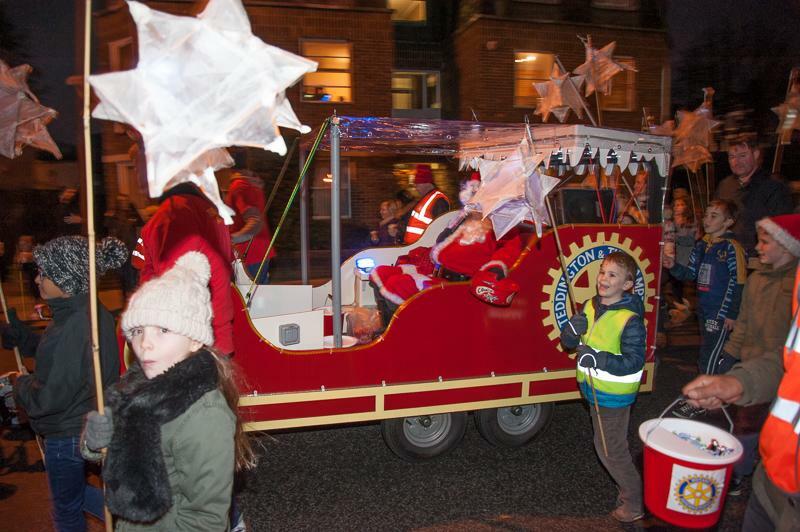 We get involved in many fundraising activities: a jovial Father Christmas touring the streets at Christmas is a familiar sight to many young children and their parents, but month in and month out we support many charities and good causes locally, nationally and internationally.